Finding the perfect photographer is a big part in planning your wedding day! You and your spouse will want your whole journey to be captured so you can create a wedding photo album to remember your big day! You want to find a wedding photographer who will think outside of the box, make you feel comfortable, and personalize the photos to capture you and your spouses special relationship. On your big day, you want to make sure that the photographer is all in; snapping photos every chance they get so you can look back and remember everything! You want to make sure they get pictures of everyone getting ready, the ceremony, before the reception and during the reception! 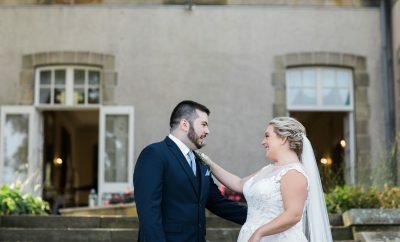 Choosing a photographer can be tough but there are many great photographers in and around Newport County who will make sure they capture every detail of your big day! Blueflash Photography is a team of people who love weddings, people involved in them, and working with you to make sure everything you want is fulfilled! The team likes to keep it fun because they love what they do and want to make your big day memorable. Samantha Robshaw Photography will tell your story from start to finish, capturing every moment, detail and smile. Photos are guaranteed to provide timeless and romantic imagery of your wedding day. Samantha Robshaw Photography offers custom packages from simply to elegant, depending on what you prefer. Allan Millora Photography brings art, life, and beauty to his photographs. Now based in Newport, Allan photos preserve the most precious life memories, creating life and beauty frozen in time. 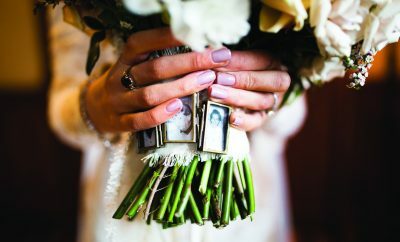 Sabrina Scolari Photography captures every organic moment that happens on your big day, telling your wonderful, happy story. They produce crisp, stylish photos that are unique and a high-end quality, making memories last a lifetime. BellaFoto Studios provides passion and love for people and photography. Danielle and her husband Kurtis work together seamlessly to capture your perfect love story. You are guaranteed to have priceless images, be well taken care of and enjoy the entire experience!